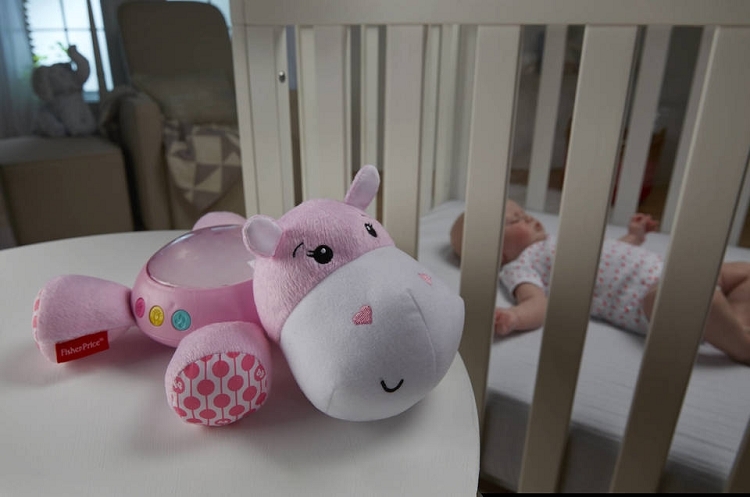 Place this sweet, plush hippo soother on a dresser or table top and watch as it fills the room with starry lights and up to 30 minutes of gentle lullabies, nature sounds, or white noise. 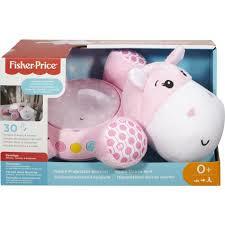 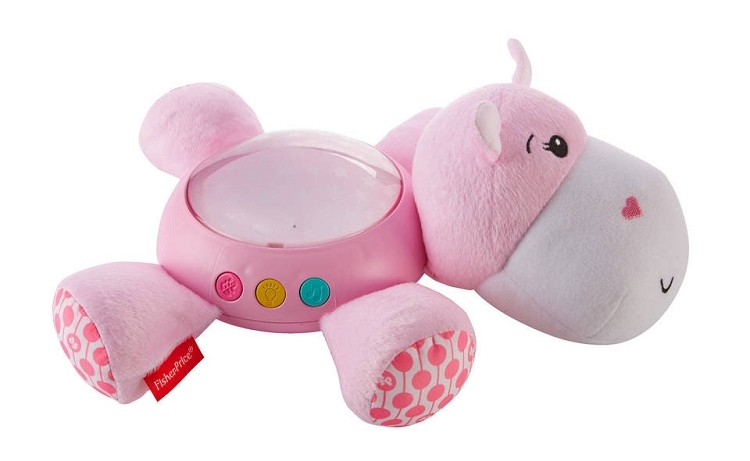 With this snuggly buddy, your baby can drift off to dreamland in no time! 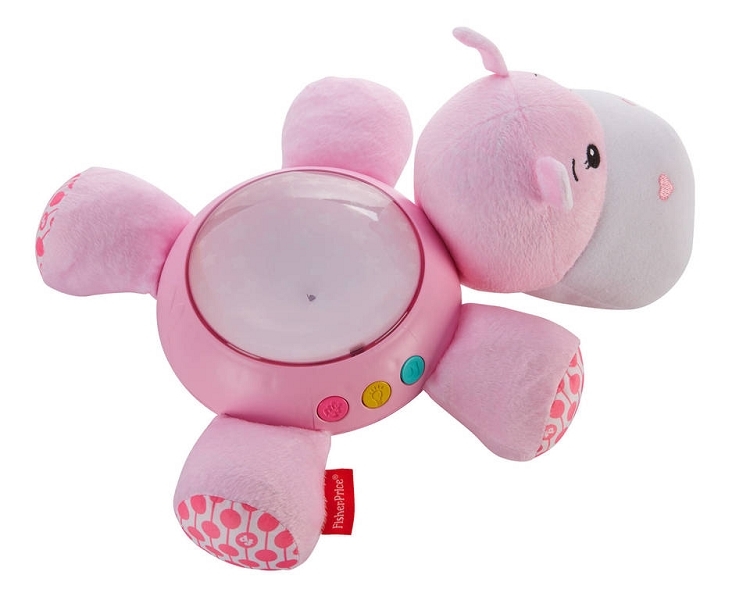 Where development comes into play™ Sensory: The overhead starlight projection and soothing music and sounds help your baby relax while gently stimulating developing auditory and visual senses. 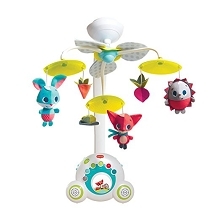 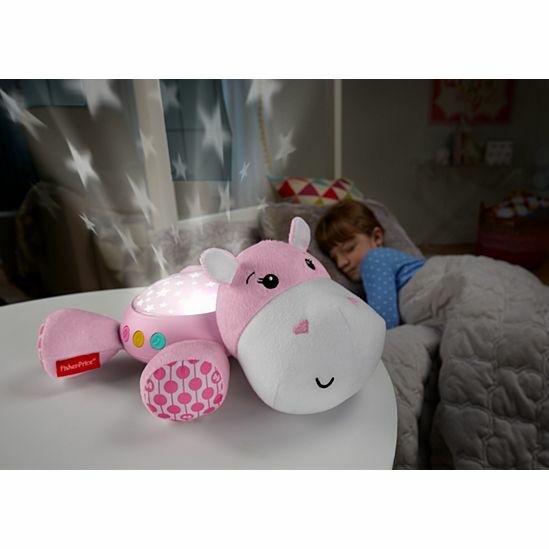 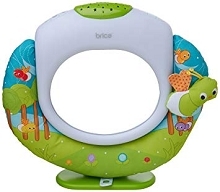 Security & Happiness: This sweet and cuddly friend, with enchanting starlight projection and gentle music, helps your baby settle into a comforting bedtime routine.